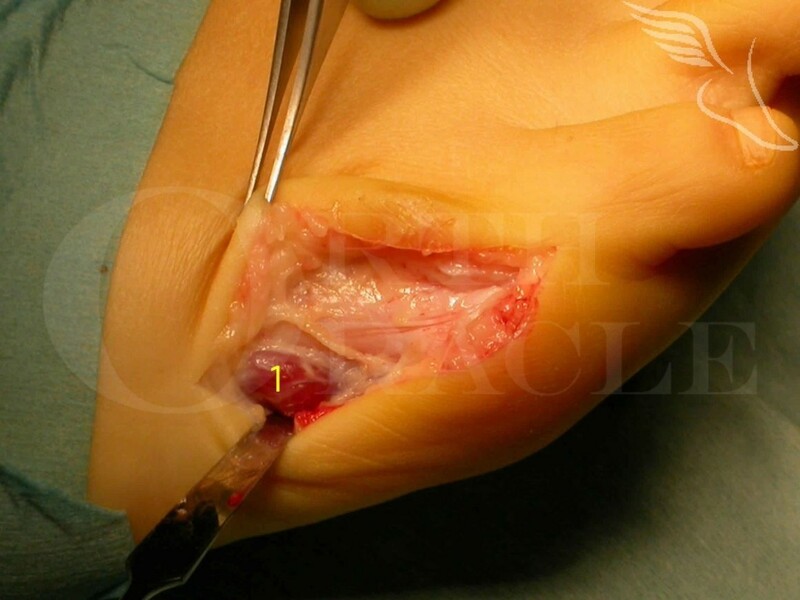 Learn the Bunionette (Scarf correction) using OrthoSolutions FOS screws surgical technique with step by step instructions on OrthOracle. Our e-learning platform contains high resolution images and a certified CME of the Bunionette (Scarf correction) using OrthoSolutions FOS screws surgical procedure. The Scarf-type osteotomy correction described is most appropriate for bunionette deformities with a degree of lateral angulation of the 5th metatarsal shaft or an increase in the 4/5 inter-metatarsal angle. Other operative options include simple resection of the lateral prominence or a more distal or proximal osteotomy depending on the nature of the bunionette.